Some people care about shoes. They buy them often, they consider carefully which pair to wear, and they notice other people’s shoes, perhaps even judge others by their shoes. I notice fonts. I just do. For the most part, I notice the gag-me awful ones and the perfectly fitting fonts. A realtor in our small town just established his own business: his signs are the most artless, ugly, horrific, disaster of graphic art. My daughter-in-law and I just point and groan when we see them. I used to make the common mistake of using multiple fonts in a document when so many first became available. (cringe) I remember my first encounter with Helvetica back in 1988: the Director of Admissions sat at my desk and rhapsodized about the clean lines, sans serif, readability, attractiveness, etc. etc. I don’t fuss with fonts much with blogging, but with other documents I spend time clicking, trying different fonts, judging their appeal. I will not use Times New Roman. Comic Sans seems too childish, a good choice only if you’re typing a thank you note from a six month old. 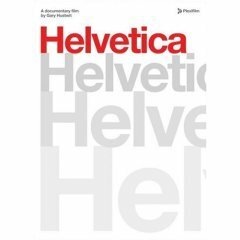 Using Netflix’s Watch Instantly, I enjoyed Gary Hustwit’s documentary, Helvetica. The 80 minute film gives the history of the font designed by Max Miedinger in 1957 in Switzerland. You meet two dozen graphic designers, who discuss their use or non-use of Helvetica. ~ If you are heavy in the middle you wouldn’t wear tight tee shirts. Helvetica is heavy in the middle and needs lots of white space around it. ~ Helvetica came out of modernism. Grunge typography came out of postmodernism. Designers today are swinging back to Helvetica but are using it in unique or more creative ways. Now, it was an enjoyable DVD for a cold, January Sunday afternoon while my husband napped, but I wouldn’t spend money to watch it. There was a sprinkling of salty language and a few salty images (especially in the grunge section.) If you get off on graphic design and fonts, you may enjoy it. This entry was posted in Uncategorized and tagged dvds, random, words by alivingpencil. Bookmark the permalink. Carol:You would probably appreciate the “Ban Comic Sans” website. One of my favorite fonts is a comic font they offer for free called “Comic Strip.” I use it for the navigation links on my humor writing/illustration website (here). I can’t decide on my favorite, but I truly abhor Courier. (We went to a movie with my brother in law (a musician) and his lovely wife — I think it was one of the Spider Man movies… and as it began, he leaned over, as the music soared, and in a loud enough sotto voce to be heard above the music, whispered “I *LOVE* this FONT! !” Cracked me up completely because I was so sure he was going to say “composer” or “theme” or something music related! Guess my site my be more readable if I change font AND font size? One of my favorites for everyday use is Chalkboard. Its informalness appeals to me, like a comfortable pair of jeans. But I also love Apple Chancery’ flowing grace and prefer Georgia for my blog.I don’t know if this would be of interest, but the fonts used on highway signs are being changed to “Clearview”. It’s much easier to read than the type that’s been used for decades on our highways. Here’s an article. My dh designs roads and highways and was the first to use it in Arizona on one of his projects.Regarding the woman who wouldn’t read a book because of the multiple fonts on each page – I have a hard time picking up books that are ugly colors. Although I find multiple fonts completely distracting, too.SDG!